And I have never had a problem with the company or the staff on the plane. Although the staff on the recent trip to London from Aalborg we a bit grumpy and lacked charm and customer service. I find times like this, best not to interact with the cabin crew. 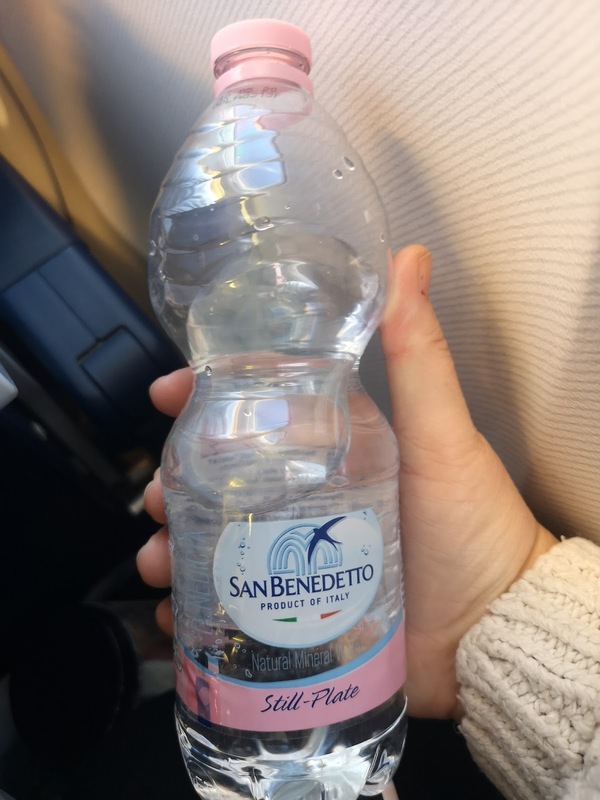 The cabin crew couldn't change a £20 not for some shopping so I tried to give them the correct change for a bottle of water and the cabin crewman snapped at me. If I wasn't dying of thirst, then I would have told him to stick the money where the sun doesn't shine but I needed that water. I really must have been desperate because the bottle of water cost me £3... THREE BLOODY QUID. I can see why they can afford to sell flights so cheap, they make the money up in other ways. Recently it cost me and Tilly £27 to get to Aalborg in Denmark and back. You can barely do a day trip on a train for that cost. Like I said you do pay for what you get and when you take up the £4.99 flight offer, you can only take a tiny bag with you. But if its an overnight trip and you only need to pack your tech and a pair of clean knickers, then you are fine. You have to pay extra for luggage but its £10 for you to check a 10kg bag in. this option is perfect for people that don't want to pay for a huge suitcase. You have to pay for your seats too. If you're travelling alone, then you can just take a risk and book a seat when you check in. But if you are travelling with kids, then you have no choice but to book a seat. but you know what, a tiny bag is enough for us, but if I was going somewhere that I would want to go shopping, then I would pay to check luggage in on the way home. Food and drink are extortionate as I said earlier, I paid £3 for a bottle of water. That must be like 1000% mark up on what they pay for it. But if you book a £4.99 flight, what do you expect. Take a picnic with you when you go and eat that on the plane. 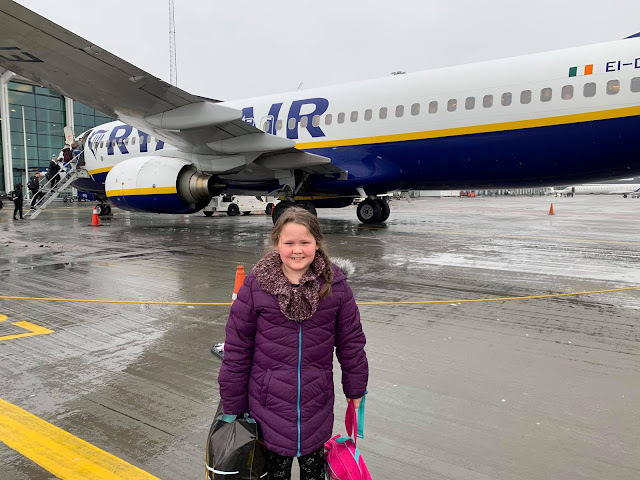 The cabin crew on the flight out to Aalborg were lovely, I think they were Danish and they were very attentive to my little girl. She was so tired and they checked she was okay and they took time to speak to her. They even arranged for her to meet the Captain. she has wanted to do this for so long and when I did it with Thomas Cook Airlines in October, she was so jealous. Meeting the Captain absolutely made her aeroplane trip. 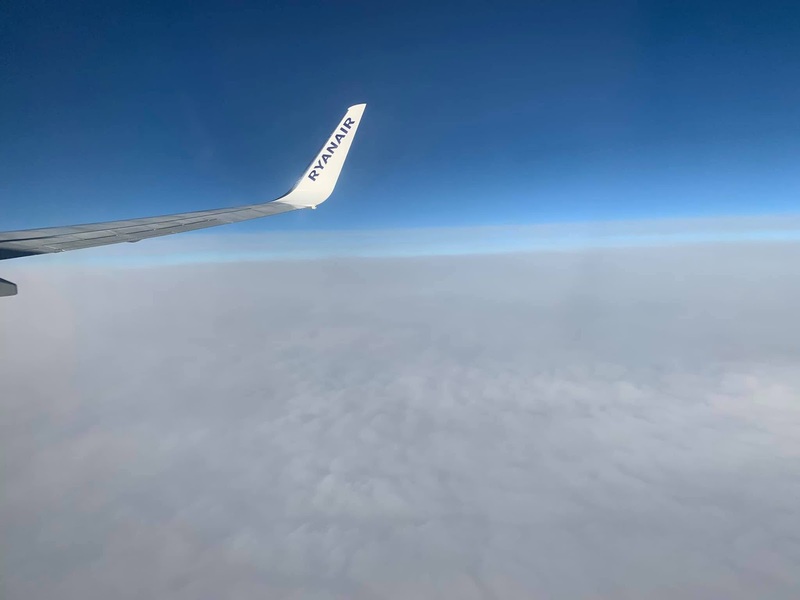 it was a priceless moment for her, So I am using this blog post to publicly thank the best cabin crew I have come across in a long time. 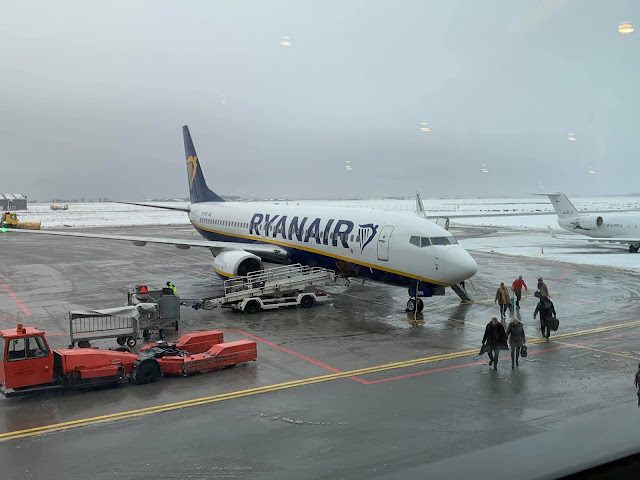 I absolutely have no doubts flying with Ryan Air and as we usually fly budget, This is my favourite budget airline. It has enriched my daughter's life by making a trip to another country affordable. It has created memories and it has got me out of the UK for 24 hours. I cannot wait for another sale so I can enrich her life even more and teach her different things. Ryan Air is awesome, yes it has it's flaws but don't we all?